Here, you can see the projects we are going to support and for which you can make a donation. For any information please write to laksmiseva@vrinda.org. You can also write to us to offer some projects for being put in the list of projects, which need help. Regular reports for all the listed projects will be given with a transparent account system. Here in Vrindavan I am frequently meeting with other citizens of the holy dham. We are talking about how to improve things in the sacred land of Lord Krishna. 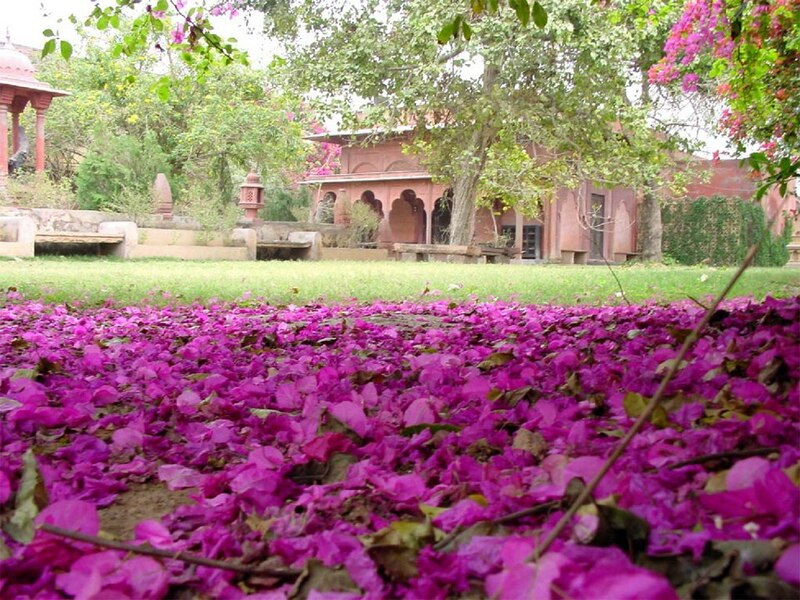 Effectively, here in Vrindavan there is a lot of mercy. The bigger mercy is that it's so much mess around here which gives us insignificant souls the opportunity to be part of the solution of this mess. I made a proposal of practical work here in Vrindavan. I am going to ask every temple that is related to us to make meetings with the community of their cities and in these meetings you should wake up the appreciation for Vrindavan and its people. I want that you can wake up in them the desire to be part of the service of Srimati Radharani here in Vrindavan through a monthly donation. Because a worker guided by our mission is going to work here in Vrindavan in different areas of cleaning and organizing to transform Vrindavan into visible beauty. Inspiring a little gratitude for Vrindavan and also giving them blessings to have a connection to Vrindavan through this donation. A worker with insurance cost a 100 dollars per month. This is not an ammount that is going to put anyone in problems. But if every devotee who have some resources or join together with others so they can send 100 dollars monthly to Vrindavan we can make a nice project here. Because from volunteers we cant expect too much, but when we pay and give a salary we can do it. And that is the idea. So I sincerely ask and beg that you collect this weekly every month. In our web pages we are going to give importance to these donations. There we will show what our workers are doing in Vrindavan. So the ones that are giving money can see what is being done. So if you in you join 100 dollars monthly we can have more workers beutifying Vrindavan. And vrindavan today can be discovered again in all of India.We are going to publish all this in web pages and the contributors are going to appear and also the areas where we are working and participating. 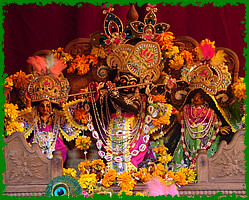 For example in managing the garbage of Vrindavana. I say thanks and appreciate your effort. I ask that you help Vrindavan from each temple and individual and if you want to send more just organize it. 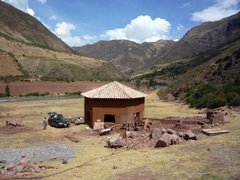 Varshana is a farm situated an hour from Bogota in the beautiful emerald green mountains in the beautiful Andes. Varshana is the mother of our mission, where in 1980 by the mercy of Sri Sri Gour Nitay, the first deities of Colombia, Krishna revealed this place where He wanted to manifest His pastimes. At an altitude of 2400 meters above sea level was built the first temple of Radha and Krishna in Colombia, the deities Sri Sri Guru Gouranga Radha Vrajesvara made their appearance in 1983 on the day of Narasimha Caturdhasi. Description: this main temple of the Vrinda mission consists of three more temples in Vrindavan: Yamuna kunja, Vamsi kunja, Vipralambha kunja. The temple gives shelter to all the pilgrimes coming here twice a year in Karttik season and Gour Purnim and also is the main place for the Yoga Inbound groups visiting India from all over the world. The donation is needed for maintaining the temples and making better basement for the development of the Yoga Inbound project. This project has beautifully flourished under the hands of the devotees who built and decorated the temples and the gardens. Now the need is to maintain the yearly needs of the two ashramas and the devotees making service there in Sarasvati kunja and Jahnavi Kunja Gaudiya Math. These temples serve the devotees and guests of the mission and also the Inbound Yoga tours for the area. The project, which mataji Prishni runs there is cleaning of Mayapur under the name "Friends of Mayapur".This project has organized rikshas to collect the garbage in the whole area and maintains volunteers and workers who everyday clean all the main street of the village and many of the ashrams. The team is creating legal places for collecting the garbage. We are happy to present you the Eco Veda park project in Bulgaria. This is one of the newest big projects of Gurudeva, which will present through a farm community, art and spiritual tours, the variety of the spiritual dimensions for people around the world. The devotees are very happy to accept this special service. The concept of the park is based on the ancient scriptures found in Bulgaria – Veda Slovena, which consists of songs from Vedic time. They are written in old Bulgarian language and describe lilas about Krishna, Vishnu, Durga, Surya, Shiva etc. and the old famous hero from that land – Orpheus. The project will present the connection between the local Vedas and the Sanskrit original scriptures, pointing the global existence of the Vedic culture all over the world and especially the proves in the land of Bulgaria. 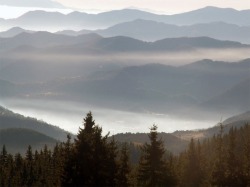 The land is in south Bulgaria in the extremely beautiful mountains of Rodopi – famous mystical place where the Veda Slovena was found. 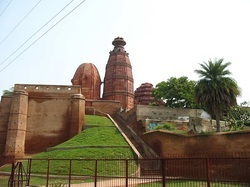 It was donated by prabhu Mathuranath and it is situated in the middle of a park in the town of Kardjali which is a famous touristic and historical place. 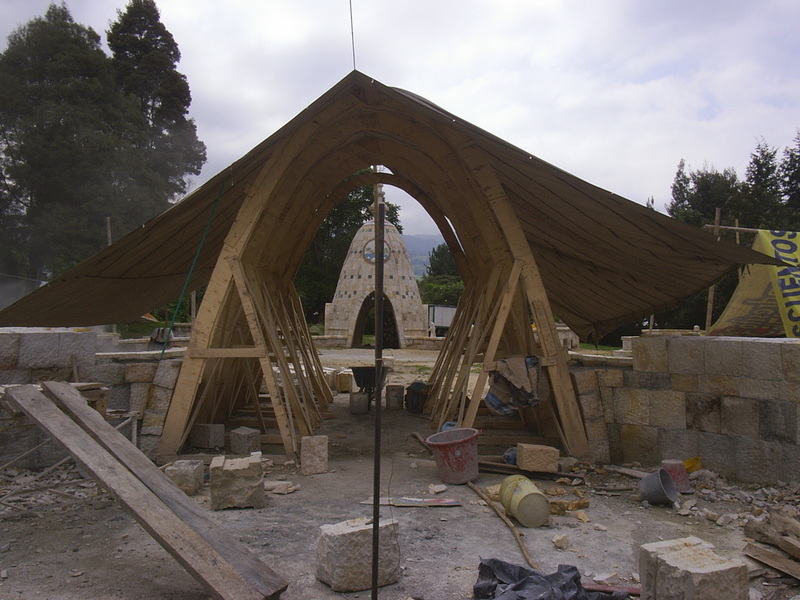 The building there is 2 500 suare metres with opportunities to organize restaurant, temple, yoga halls, hostels and art area. Guru Maharaj made a plan for the trulis which will be built representing different symbols like truly of unity of religions, monument of the Sun, Earth and Moon, monument of non violence, then there is a special symbol of crystal tear, which represents the pain of the victims of fanaticism, shrine of Gopeshvar Mahadev and others. After Eco truly park in Peru, Varshana park in Colombia and Nanda Falva farm in Hungary, Gurudeva has the desire to create also this wonderful park in Bulgaria. He said he hopes we will be able to finish it within our lifetime and to offer this great service to the people. 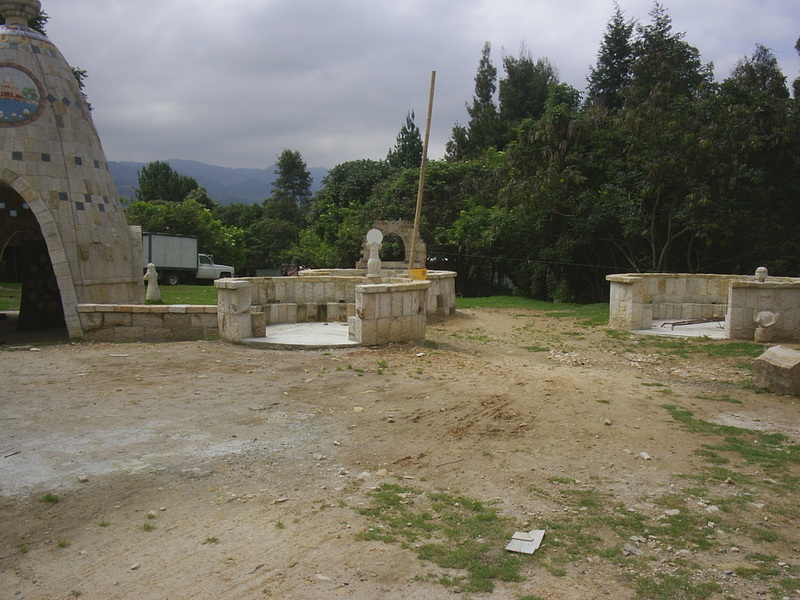 The needs of the project are to restore the building and to construct the park. Everyone is cordially invited to help with any kind of service from donation, helping in construction to advices and art decoration. 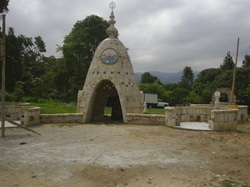 Gambhira is a Yoga Monastery in the jungle zone of Columbia. It is a beautiful area for its nature, historical treasures around and ancient roads Tayrona - an ancient culture which left a lot of relics and holy places for pilgrimage, conserved as touristic places. 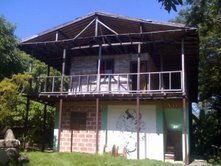 The constructions of the farm consist of 2 cabins for sleeping, kitchen and temple of 2 floors made of wood thanks to the participation of the devotees from the Atlantic coast from Valledupar, Cartagena, Barranquilla, Montería and Santa Marta.